The new Ford Ranger is already making a splash in the mid-size pickup truck class. Naturally, horsepower hounds are clamoring for a Ranger Raptor variant, and while there is a possibility that we'll get one, at least one impatient dealer has taken matters into their own hands. While the Ranger Raptor is available in the rest of the world, it is, as of yet, not sold here. 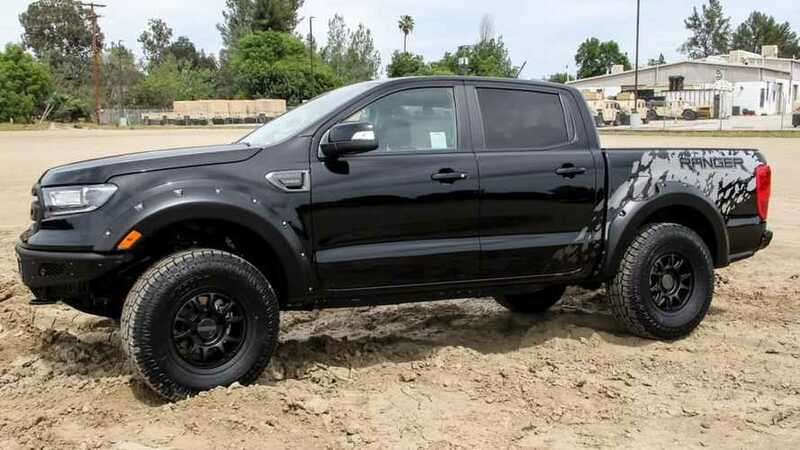 Galpin Auto Sports, a Ford dealership in Los Angeles, California, has created a baby Raptor of their own instead of waiting for Ford to release the midsize performance pickup here. You may remember Galpin Auto Sports, or GAS, as the home of MTV's "Pimp My Ride." In other words, they're uniquely qualified to offer modified Rangers with a warranty, right off the showroom floor. 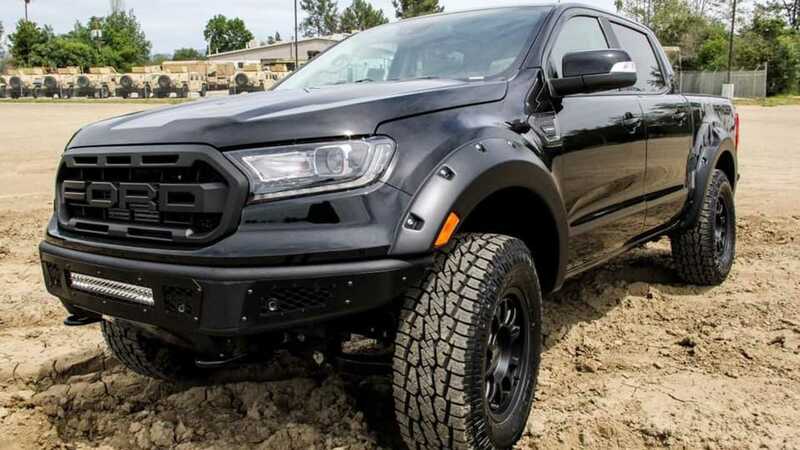 Galpin's creation, dubbed the Ranger X, was picked up by our friends over at Ford Truck Enthusiasts, who outlined the extensive visual modifications that transformed the mild-mannered Ranger into a pint-sized Raptor. Performance-wise, the Ranger X receives a lift thanks to a Prop Comp leveling kit and 285/70/17 Pro Comp A/T tires wrapped around custom 17" off-road wheels. In addition to increasing the Ranger X's off-road ability, the lift kit and big tires lend the Ranger a tough, aggressive look. Adding to that look is a custom set of Raptor-esque graphics, as well as Addictive Deserts Designs front and rear bumpers, Ford Performance fender flares, and a light bar. Interestingly, the only part shared with the "real" Ranger Raptor is the front grille. If you just can't wait for a Ranger Raptor from Ford, head west to Galpin Auto Sports and spec out the regular Ranger of your dreams – then budget at least another $13,950 for Galpin's Ranger X package.